Simore Dual SIM card Adapter Platinum is an intelligent device enabling you to install two SIM cards in one mobile phone. This SIMore Dual Sim allows users to take full advantage of Internet access and video connections via 3G networks - UMTS - WCDMA - HSDPA (High Data transfer speed). The DualSim Platinum version requires the cutting of your SIM cards and seattles directly into the slot of your SIM card. Our system is reversible. We provide in every pack two recovery tools that enable you to restore your SIM cards to their original form and place each of them into two separate phones. 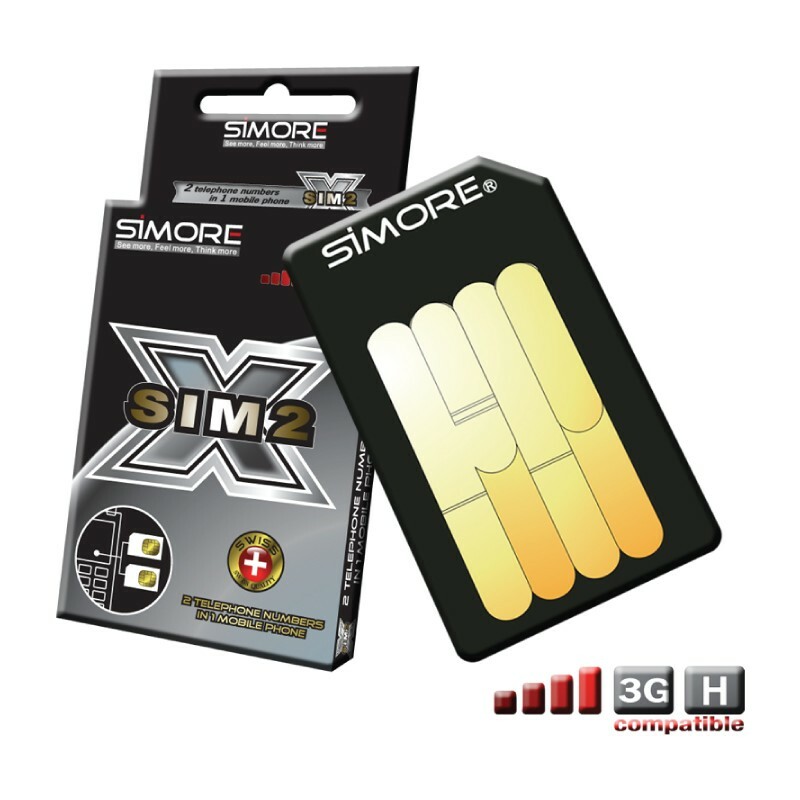 Go up a gear with Simore DualSim Platinum 3G / HSDPA adapter. Simore Platinum Dual SIM card has an active internal memory allowing you to store, manage and protect your contacts and personal information (secret agenda, confidential directory, secret SMS, etc. ..). This Dual SIM card Adapter includes an encrypted SMS function which allows you to send and receive confidential information.